Rickey McGill, the all-time scoring leader in basketball at Spring Valley High School, has taken his multi-faceted skill-set to the big-time at Division 1 Iona College in New Rochelle. McGill accumulated 1,463 points for Coach Willie Worsley’s Tigers, a total which ranks second in Rockland County history behind one-time Pearl River standout Brendan McManus, and was the recipient of Section 1’s “Mr. Basketball Award” by the Lower Hudson Basketball Coaches Association. Later this week, McGill and the Iona College Gaels are going dancing again in the NCAA Championship Tournament, visiting the Oregon Ducks at 2 p.m. on St. Patrick’s Day as the No. 14 seed. The Ducks are seeded third. The Gaels, who have never met Oregon and are 2-4 all-time against the Pac-12, earned their second straight trip to the NCAA Tournament by ousting host Siena College, 87-86, in overtime in Albany to win the MACC crown. 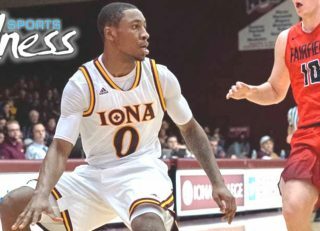 The NCAA Tournament opener will mark Iona’s third trip to the West Coast this season, and this should not pose any special difficulty for the Gaels, who are battle-tested on the road with 14 victories away from their New Rochelle gym. Only powerhouse programs Duke, Gonzaga and Florida have won more games away from home or at a neutral site in Division 1 this season. The Gaels, who last played a Pac-12 team in 2015-16 in a loss at Oregon State in Corvallis, Oregon, have advanced to the NCAA Tournament in four of Coach Tim Cluess’ seven years at the helm. A cog in Iona’s core of talented performers is McGill, a 6-foot-1, 175-pound junior guard who started every game as the Gaels went 22-12. The Ducks go into the game with a sparkling 29-5 mark. McGill leads the Gaels by far with 178 assists and also leads the team by far with 62 steals. He ranks second in blocked shots with 15 and his 11-points-per-game average is tied for third, not bad for someone considered more of a floor general and less a pure scorer. The North Rockland HS girls distance medley relay team won its third straight U.S. DMR championship following another title run at the New Balance National Indoor Championship at the Armory in upper Manhattan. The quartet of Villanova-bound Alex Harris, Sofia Housman, Haleigh Morales and Katelyn Tuohy clocked 11:41.04 in a wire-to-wire victory after Harris gave the Red Raiders a big lead on the leadoff leg. The foursome earned all-American recognition with its win, which was anchored by Tuohy. In other action, Alexandra Thompson of Tappan Zee was 14th in the girls Double-E division with a time of 11:05.25 while teammate Tori Fears, a sophomore, was 20th in a field of 38 in the elite 800, clocking a personal-best 2:17.03; and Nanuet took 17th in the boys 4×800 relay in 8:08.29 behind Ryan Guerci, Branden Fernandez, Zachary Hasenbale and Brian Camillieri. The SUNY New Paltz softball team, which expects to make another run in the SUNYAC Tournament, is counting upon several Rockland standouts, led by junior returnee Lauren Capello of New City. The Albertus Magnus HS alumna will be stepping back into the circle after striking out 17 batters in nine appearances last year. She was also a key first baseman, finishing with a .979 fielding percentage. Another returnee is Megan Carbia of Tomkins Cove, a North Rockland HS graduate who, despite sitting out most of the 2016 season with an injury, will return behind the plate. Among the newcomers is Pearl River HS graduate Caroline Alicandri, a freshman infielder and utility player. New Paltz will be in Clermont, Fla., March 21-25 for eight scheduled games at the NTC Spring Games, and then opens its home season on March 28 against Ramapo College before starting conference play against Plattsburgh on April 1. COLLEGIAT E CLIPS: Suffern HS alum Kevin McNally of Hillburn had an assist and three grounds balls as the Mercy men’s lacrosse team bowed to defending national champion and top-ranked Le Moyne, 8-4, at Mercy Field in Dobbs Ferry. The Mavericks, under the tutelage of veteran coach Jordan Levine of Nyack, look to bounce back on March 18 when they open ECC play the University of District of Columbia at 4 p.m. … Matt Flannery of Pearl River, who was a two-time all-County selection at Nanuet HS, is a junior infielder on the Iona College baseball team. Flannery was also a 2nd-team all-County pick in football for the Golden Knights. Iona College is scheduled to resume play March 17-19 with a three-game set as part of the Villanova Tournament. The first of the three will played at Villanova on March 17 at 3 p.m. followed by a trips to Saint Joseph on March 18 and La Salle on March 19. … Justin Reyes of Haverhill, Pa., led all scorers with 24 points and James Mitchell of Washington, D.C., had 16 as the St. Thomas Aquinas College men’s basketball team advanced to its first-ever NCAA Division II Tournament East Regional Final with a 73-70 victory over Merrimack College in Syracuse. The Sparkill-based Spartans have won eight straight and 17-of-18 to stand at 27-5 overall entering the final against No. 3 seed College of Saint Rose. … The Lady Spartans ended their season with a 19-11 record following a 75-55 loss to Molloy College in the East Coast Conference semifinals in Bridgeport, Conn. … Dominican College sophomore Michael Merced of Pearl River placed 12th in the 400-meter dash at the Fastrack Last Chance Meet at the Ocean Breeze Track in Staten Island. Seth Wilson of Monroe, another sophomore, ran seventh in the 200. Freshman Justin Estevez of Nanuet finished 12th in the long jump with a leap of 19 feet, 3 inches, and also took 12th in the triple jump at 39 feet, 5 inches. The New York Racing Authority (NYRA) has a number of openings, including marketing assistant, box office representative, senior graphic designer, TV production, and manager communications. For information visit www.nyra.com; to apply, email resume to jlevine@nyrainc.com. 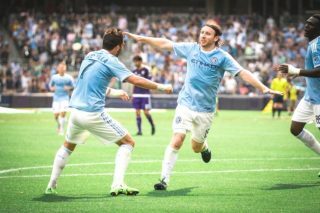 … West Nyack native Tommy McNamara, who formed a bond with soccer as a 3-year-old prospect in Orangeburg, is playing his third professional season as a midfielder with New York City Football Club. NYCFC, which will soon have a brand-new practice facility and team office in Orangeburg, won its 2017 home opener at Yankee Stadium, blanking D.C. United, 4-0. McNamara and his band return to the Stadium on March 18 to challenge Montreal Impact at 2 p.m. and will again be at home on April 1 – no fooling — to host San Jose Earthquakes at 2 p.m. … The Cincinnati Reds outrighted West Nyack native Pat Kivlehan, 26, to Triple-A Louisville. 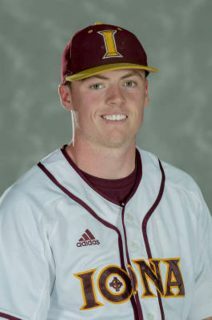 Kivlehan, who starred in football and baseball at Rutgers University, was designated for assignment last week and passed through waivers unclaimed.